Is it possible to ad some music, some video or anything else when selecting a mod in gpbikes ? I remember some beautiful mod in rfactor, like lemans series (old porsche 917, lola t70 and other) where was a good 70s music and photo and video in black and white. It was so good to begin these mods only by viewing this. Piboso, is it possible to add an option to tracked for placing each starting line where i want ? Ibask this because its very difficult to place the white lines exactly where the tracked grid is. 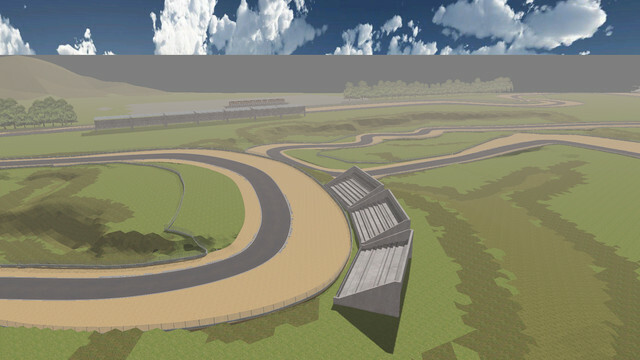 I propose for those insterested this little laguna seca wich i di many years ago. You know that I'm a bit passiv about moderation but now I suggest to all moderators (of course me too) to delete posts wich contain bad langage and if this is repeated a ban (progressiv) could be the solution. The most important thing people don't know or forget is Low Speed it is used for moving very slowly the bike with the rider walking, that is very useful for exiting pit without crashing. Click and choose first the GO BACK button and after GO STRAIGHT button, i use the directional cross on my PS3 pad. I decide to post screenshot of the structure of GPBikes folder for all those who have problem with bike mod corexe. Compare what's here to your GPBikes and if it's not the same there is a problem. I suggest that: when a new mod or new bike is coming, it will be nice to add screenshot here and i will change the first post as soon as possible. I do it because i saw many post about corexe due to bad installation of the mods. Bikes / Beta 12 how to adapt modded bikes ? How do we to adapt bike for beta12 ? I make a folder for mito 125 with all files like the original 125 of piboso and It's ok, but i tried to make same thing for motogp mod and it didn't work, what is the difference ? I'm working on a track coming from my imagination. 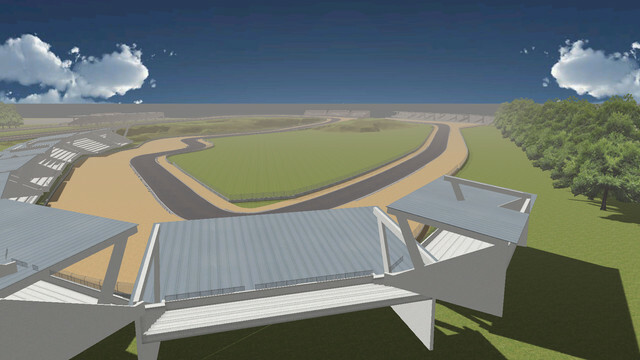 These two last evenings i began building a new track using race track builder. I import it in 3dsmax and re-apply the textures to the road and the map. I create the misc with tracked and try in game. At some points the fps drop down about 5-10 fps and near the and to 0fps. 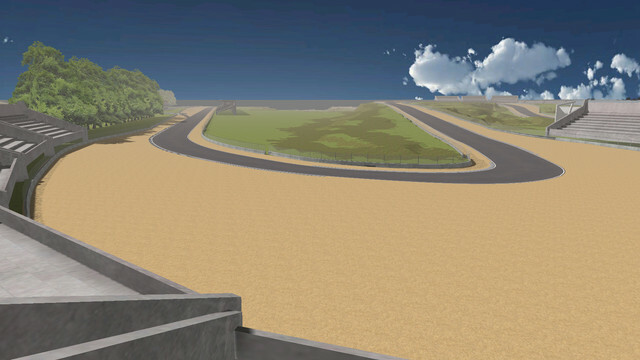 The track is about 8km long and there is only the road and the map, so two textures are used. Someone has an idea from where the problem is coming? I build in the past a track more than 15km long with many textures and mountain and other 3d objects without any problem and more than 500'000 polygons. The actual track is about 200'000 polygons. General Discussion / Who is chris? One of the "Chris" they are so many here, tries to connect to motonline server victoria with the murasama. I think he doesnt have the bikes needed. I suggest him to download the synchro ftp. it will help him and download alla the bike he needs. I've passed many hours to find the problem i going to tell you, so if it can help someone it will be nice. I'm making a new track from scratch. I create the road and would apply a texture on. So, i select the polygons i need, apply a texture map, select the edge all along the side and create a form from it. Then, i apply an uvw unwrap to my selected polygons and choose the form (created from edges) to apply to the right curved texture to my road. Now the problem happens because there appears strange things, the texture is completely wrong applied. To solve the problem I use the 32 bits version and all is fine now. 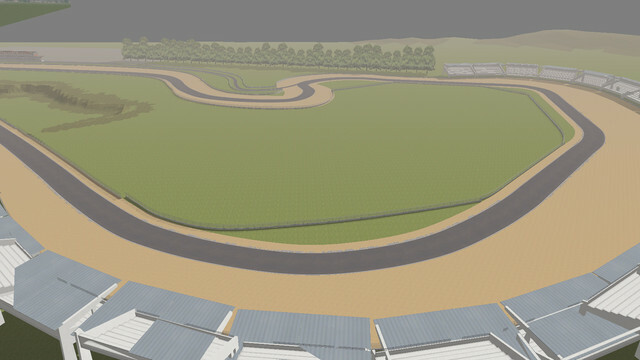 I just bought race track builder and i made a track to see how it can be import in 3ds max and how export to gpbikes. Really nice, can make our own texturepacks and add to rtb. The export can be done for assetto corsa and rf2. I try now the AC export and see its a fbx file. As you will see in the video (begin to watch at 0 min 23 seconds), when I put throttle the bike compress the rear suspension (as it does), but all the bike goes on the right, it's a little move but we can see it. To prove it the steering (THX MAX) move to right everytime I put throttle, that's just a little bit but it is. Can Piboso say us if I'm wrong or right and if this is a bug or a problem or anything else? Same thing happens on 1000cc. One of us send me a video of a replay at brands hatch, in the first turn, when the curve changes its elevation the bikes begin to mak something strange. The front seems to go to the exterior of the curve and the rear is good. When uphill that's inverse. I look very well on the wheel turning and i think (downhill) the rear turn with more speed than the front wheel, try and watch and comment here. Hi, i was watching a video about motogp technics and was surprised to learn that motogp have a gyroscope. The Track tool have been updated for the new beta 7b ?